The primary goal of water extraction is to dry the location and wet materials as quickly as possible in order to limit water damage to your home and property. Microbials are found in both the outdoor and indoor environments, and mold, mildew, and other dangerous growths can occur when even a little moisture is present. At Wall 2 Wall Restoration, we offer quick and efficient water damage restoration services in the Greenwood area, so you can recover your belongings after a leak or flood. If safely possible, stop the source of the leak. Call Wall 2 Wall Restoration at (479) 343-1595 for a prompt water extraction service. Lift draperies off the floor and loop them through a plastic coat hanger. Prop up upholstery items and cushions for even drying. Move art objects, paintings, photos, books, and other similar items to a safe, clean, dry place. Leave AC/heating unit on normal temperature setting. Document all the damages using a digital camera before moving any items. Never throw out items without proper documentation for your insurance company. Do not use electrical appliances while moisture is present on carpet or flooring. Do not enter areas of standing water while electricity is running. Do not leave wet fabrics in place. Do not leave wet books, magazines, or other colored items on wet carpet or floors. Do not turn on ceiling fans or fixtures if the ceiling is wet. Do not attempt to lift tacked-down carpet without professional help. Do not lift or move heavy furniture or other items without assistance. Do not attempt to dry out water damage with direct heat or a portable heater. Heat drying can lead to mold or other bacteria growth without proper air movement. Do not attempt to dry a structure on your own, especially in the event of a flooded basement. Fans alone will not properly dry the structure, which could lead to expensive secondary damages. 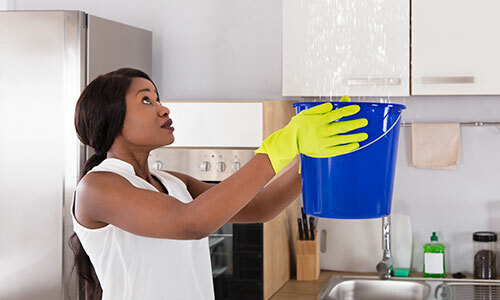 When you call our Greenwood water restoration company, a team of skilled technicians will arrive quickly to determine the type of water damage you are experiencing, ensure that the water source is stopped, and assess the extent of the damages. We will also determine the scope of water damage repairs needed to restore your life and recover your property. Wall 2 Wall Restoration will then move forward with the water extraction process, placing specialized equipment to remove any standing water, mitigate existing water damage, and dry out your property. To avoid secondary water damage to your flooring, baseboard, ceilings, and walls, this needs to begin within 24-48 hours of the incident. Even clean tap water, if left standing, may begin to cause unpleasant odors due to mold and mildew growth. After assessing the damage and extracting the water from your home or business, Wall 2 Wall Restoration will begin the process of odor elimination using a variety of techniques and applications that meet the highest industry standards. If the loss requires removal of the affected structural material, Wall 2 Wall Restoration will begin the water damage remediation process quickly and efficiently in order to get your home or business back to its pre-loss condition as soon as possible. This could include water damage repairs to floors, walls, and even water-damaged ceilings. Once our water damage restoration process is in effect, our technicians will monitor the condition of your structure on a daily basis in order to ensure the mitigation and remediation process is effectively working. We will also communicate with your insurance adjuster, agent, contractor, or property manager to keep them up to date on the water remediation process and ensure proper documentation for any insurance claims process.